Homonyms have become the catch-all terms to cover not only homonyms, but their close cousins, homographs and homophones. Homophones – homo=same, phone = sound. These are different words, sometimes spelled alike, that sound the same. 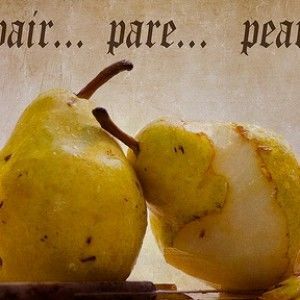 Bear and bear; pair and pear. Homographs – homo=same, graph=writing – are words that although they may be spelled the same, have different meanings and may or may not be pronounced the same way. For example, compact: a small item, compact: a make-up holder – Spelled the same, pronounced the same. Wound – as in an injury and also referring to something which is turned – is spelled the same, but pronounced differently. However, homonyms have come to mean all three of these terms, and we understand homonyms to be words that sound the same, are spelled the same, or both. Homonyms have come to mean all three of these terms, and we understand homonyms to be a words that sound the same, are spelled the same, or both.